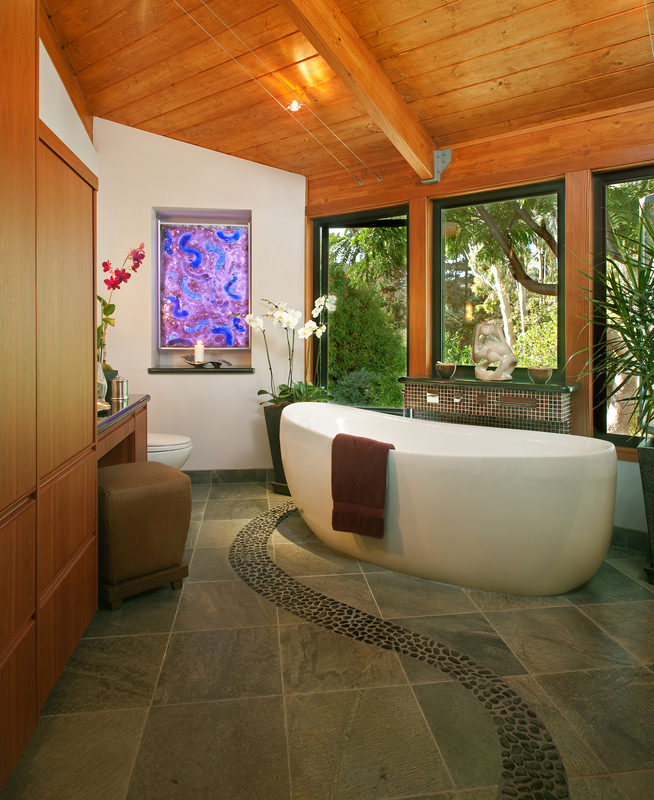 From an etched glass sliding door, a stream of polished black pebbles meanders past a curved vanity to the soaking tub. 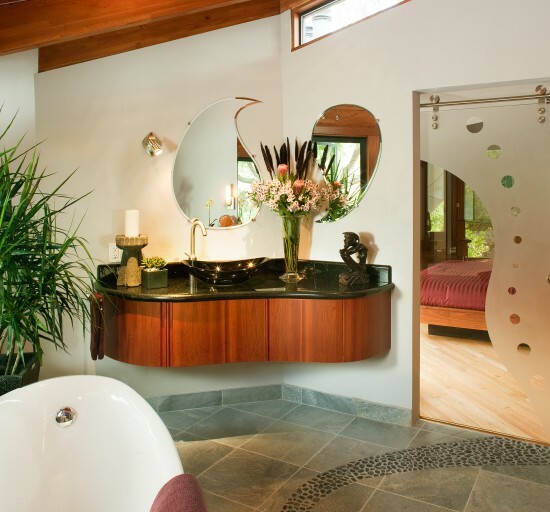 A sloped 12-foot ceiling of Douglas fir with stainless steel cable lighting adds drama and sparkle to this elegant and rejuvenating bathroom design. 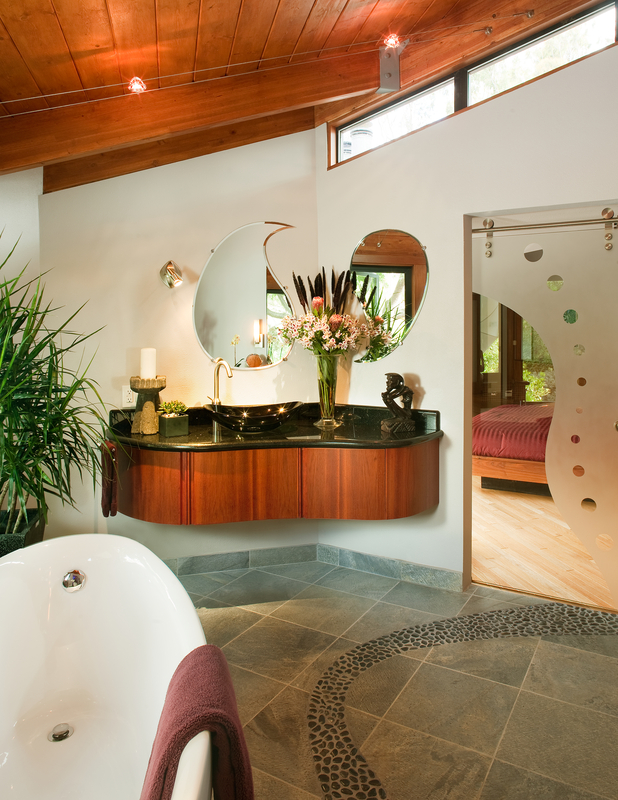 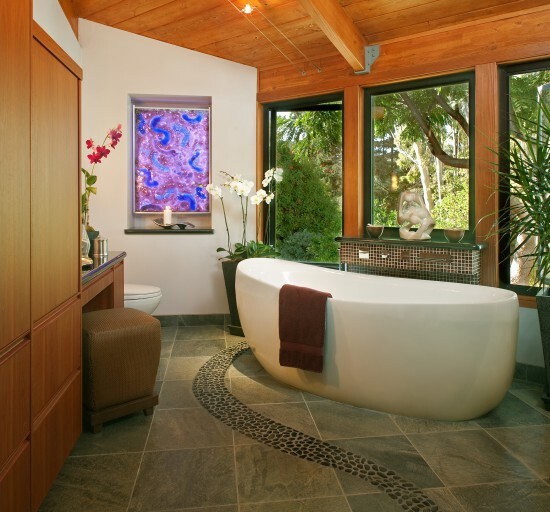 "Her bath has a softer, feminine feel with the curves of the freestanding tub and the river-rock detail in the floor."